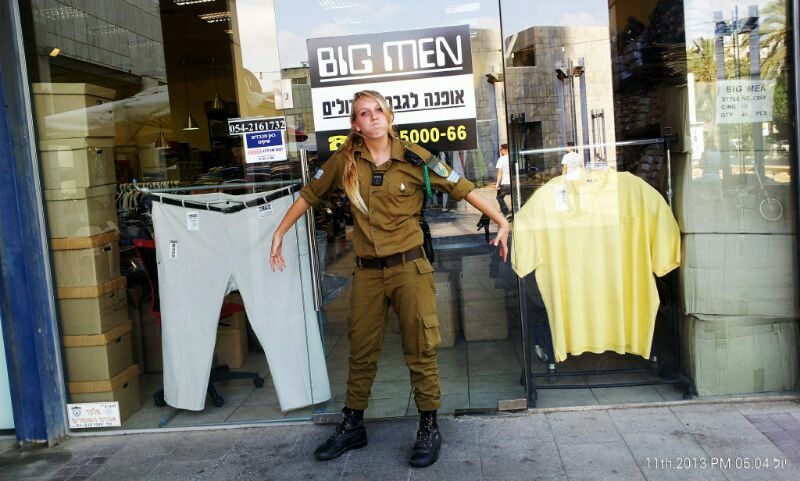 My lovely daughter Donna (yes, the one who lost her phone), sent me a picture yesterday of the only store where I can comfortably buy my shirts - the big men clothing store in Nahalat Yitzhak Tel Aviv (under lev tel-aviv towers). Then I had this bright idea. My mother already told me about this big men store. I hurried there - and it was AMAZING - all of a sudden you discover big men like you. Everything is big. Even the fitting room - is a REAL room - you can sit comfortably, you have a room to run to measure. I asked them for 4XL shirt - they brought me a huge one. for them 4XL is on a different scale than for me. The shirt was way way too big so I tried 2XL - bingo. Almost all of my shirts (6 in total) are the same shirt - but different colors - pastel colors - so simple. They told me that I fit their baby department.... Geeeez.